Elk Studios has been on the frontline of releasing unique online slots with crisp graphics, animations and sound effects. 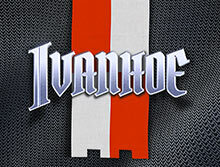 Ivanhoe is one of their new brands in the video slots category. The unique thing about this video slot is that it blends the retro elements of the one-arm bandit slot machines with the exciting story of Ivanhoe, a noble character in Sir Walter Scott's novel. Even though the two themes are entirely different from one another, the developers at Elk Studios managed to combine it in their three reeled, three rows, and with 17 betways video slot. The slot has very intriguing symbols and animations, not mentioning the thrilling bonus game. As if that was not enough, Ivanhoe slot has pixellated animations that will keep you immersed, while the old chivalry will stimulate your spirit of adventure, especially when an opportunity for the 300,000 jackpot avails itself. What's intriguing is that this video slot is fully optimized to fit on small screen devices like mobile phones and tablets. The slot based on a novel in which Prince John has claimed the crown in the absence of Richard the Lionheart. He is helped by his loyal Norman Knights to keep the town in a tight grip, but Ivanhoe chooses to fight for his king. The bonus game will take you through different challenges as you journey towards the ever-increasing multipliers. The goal of the game is to ensure that King Richard the Lionheart claims back his throne. Loading Ivanhoe, you will be welcomed by a tremendous trumpet sound. The game screen will load, displaying the traditional fruit symbols, and the betting options placed in the four corners of the screen. At the backdrop of the reels, you will see two vintage knights standing on each side with trumpets. You will be able to hear people murmuring, bottle and glasses knocking, a lady laughing... in short, you will get the feeling of a real brick and mortar casino or a real medieval castle. Additionally, you will hear from time to time a horse snorting then running. The fun does not end there. There are two screens, one above the displaying the title of the novel, 'Ivanhoe,' and the bottom screen runs a short story of Prince John and King Richard the Lionheart. Ivanhoe slot is the perfect combination of the traditional three reel slot, intriguing features and the story it tells. Although the slot has a simple layout, its gameplay is smooth and immersive. The game is played across three reels and 17 betways, which sounds complicated but very possible in Ivanhoe. The symbols will be distributed after every spin to make way for a volatile game a possible big wins. As it is familiar with Elk Studios slot games, the button on Invanhoe are easily noticeable, and you can adjust your game quickly to your preference. What makes this slot unique is the fact that you are presented with different levels and not the common pay lines. The betting strategies you will come across include Optimizer, Leveller, Booster, and Jumper. It should be noted that these levels offer different payouts to the player. The menu is located in the top left corner, and clicking on it will enable you to access the paytable, settings, rules, and promotions of the game. The Autospin feature in the top right corner to set your game to play between 10 and 100 spins without interruption. In this thrilling story of the brave hero, Ivanhoe, who goes to war to protect the real ruler of great England, Richard the Lionheart. The background reflects the medieval era, with crowds cheering the great battle. 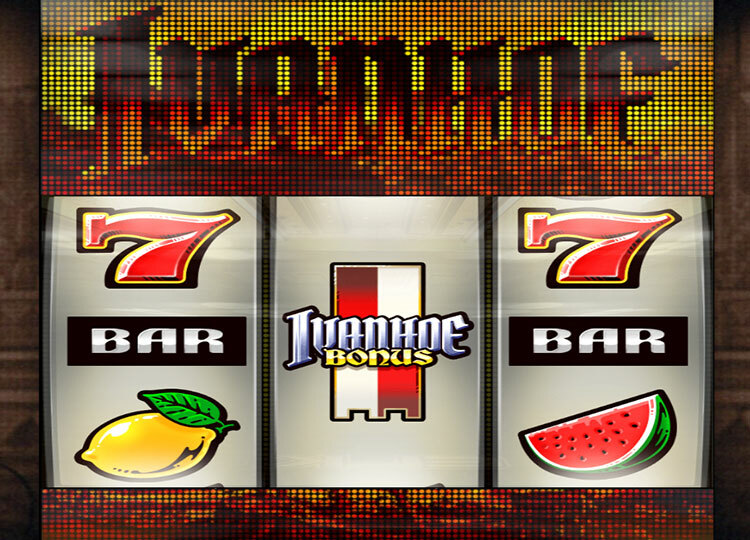 Ivanhoe represents the wild symbol, and landing three of them on an active payline will trigger the free spins round. Return of the King level; all wins receive an x6 multiplier plus three free spins to level up 300000 Max Win. It is essential to note that the crown symbol turns into Wild during the bonus game to substitute all symbols except the bonus symbol. Optimizer; bets a % of your balance. The bet levels change automatically to adapt to the selected percentage of your account balance. Leveler: increases the bet two levels after five consecutive losses and then resets after every win. Booster: increases the bet by one level after a loss until it reaches four levels above the base bet. Jumper; increases the bet by one level after every winning round until it reaches four levels above the base game. Elk Studios designed this intriguing slot with the mobile players in mind. Ivanhoe is fully optimized to run smoothly on small screen devices like smartphones, tablets in both portrait and landscape modes. Whether your phone is running on an Android or iOS operating systems, you will have no problem with loading or playing. Elk Studios has done the unexpected, by combining classic retro features in a modern video slot. Although the developer has a long time experience in the gaming industry, this one appears to beat all other brands they have released before. The game is simple in the appearance ( classic look), but things get different when you start spinning. Rest assured, you will enjoy playing with numerous features and betting strategies.